Home to family farms and lively communities, our region's rural lands are an important part of our cultural heritage. Protecting and improving river friendly lands in the headwaters is an essential part of restoring the Potomac River. As the region's leading clean water nonprofit, Potomac Conservancy serves as a resource to area landowners looking for information on how to implement conservation practices, also known as Best Management Practices (BMPs), on their properties, helping to ensure our well-managed family-owned farms are both productive and river-friendly. 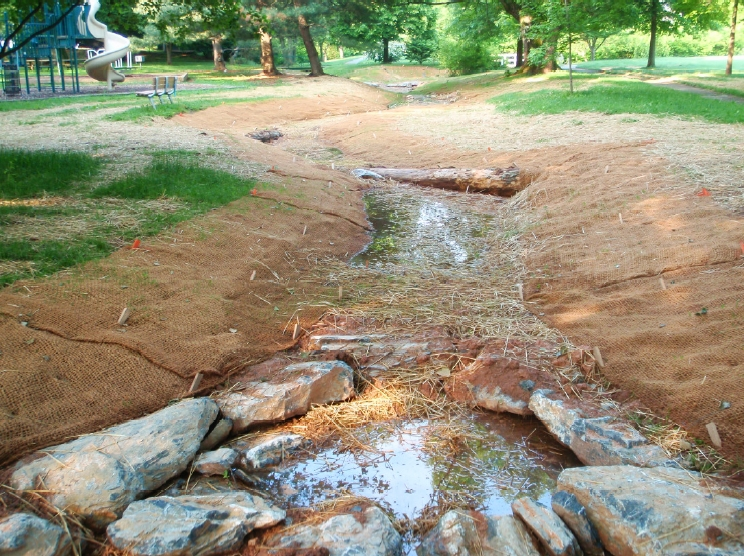 Potomac Conservancy stream restoration project in Frederick, MD. A vegetated riparian buffer zone established on a conservation easement in West Virginia. Do you have additional questions? Our Land Protection Team is ready to help you! Contact Emily Warner at 540-667-3606 or warner@potomac.org.